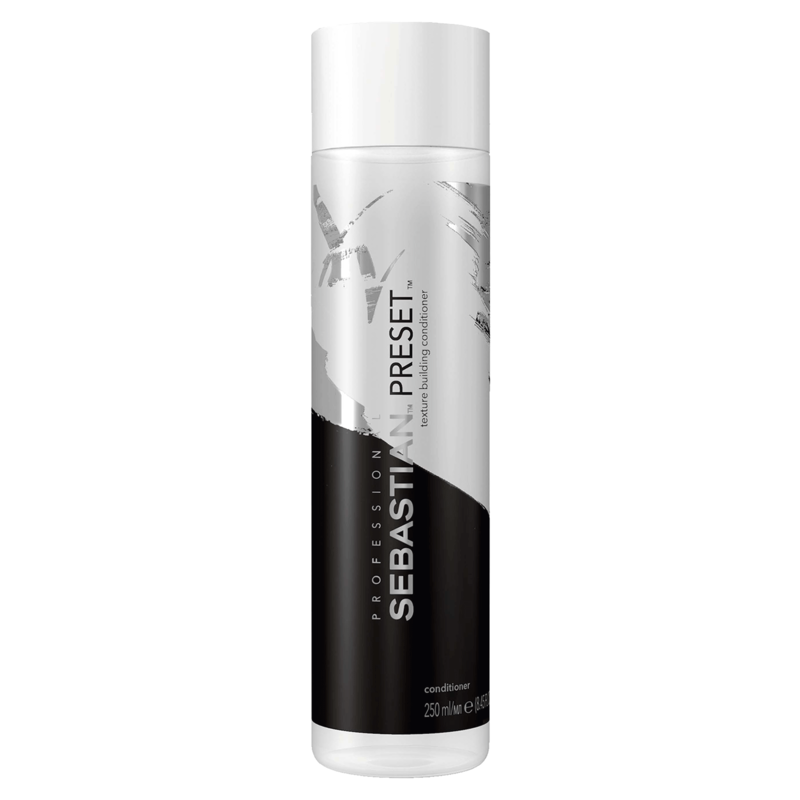 Pre-style hair with Sebastian Professional Preset Conditioner. A texture-building clear conditioner that primes hair for an effortless style with soft hold. Anti-frizz formula and heat protection. Color-safe. - Remove excess water from hair. - Apply to hair, concentrating on ends. - Pre-styling conditioner that brings grip and texture to hair. - Safe for color treated hair. - Heat protection.